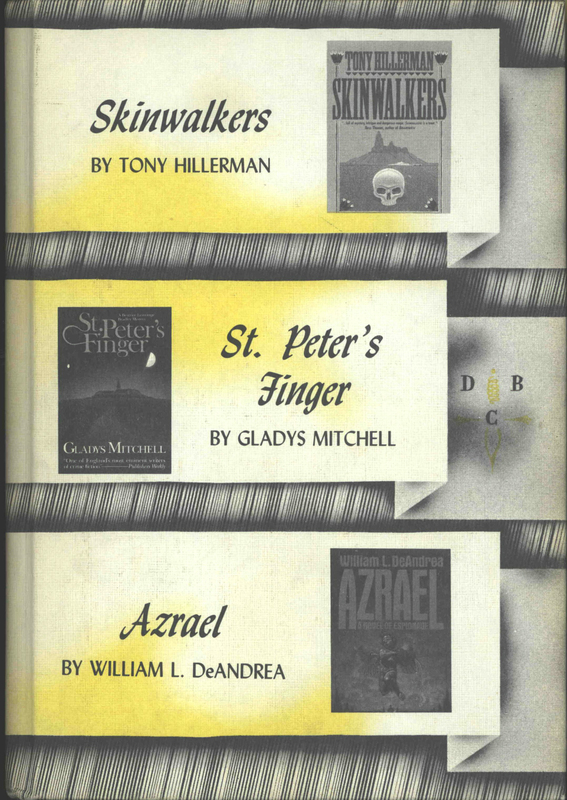 This is the full and detailed view of the Detective Book Club compilation which contains Skinwalkers by Tony Hillerman, along with novels by Gladys Mitchell and William L. DeAndrea. It is a hardcover volume with no dust cover. 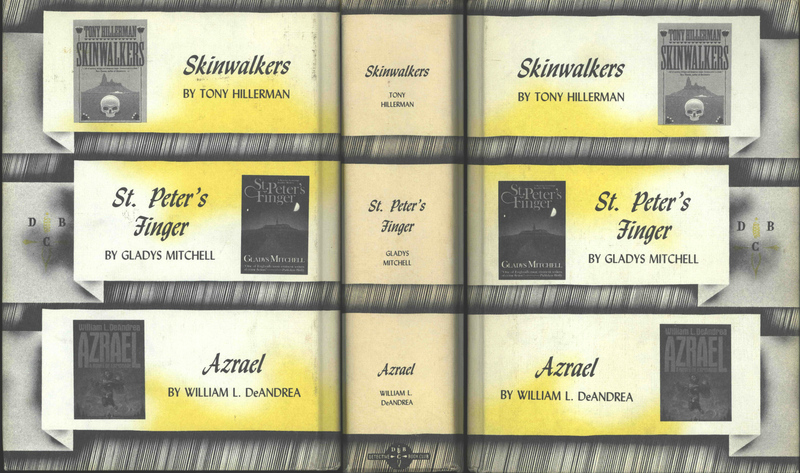 The front and back copies are identical and display the titles and authors of the included novels, along with black and white thumbnails of the novel covers, with yellow highlights. Each novel's information is printed in a white section seeming to represent a folded paper band. The cover background is made up of thin diagonal lines in black and gray. The same lined background appears on the spine, where the titles and author names are again printed in white rectangles. The Detective Book Club logo appears at the bottom of the spine.